Forex Magnates has learned that MarketOptions has thinned out its apparatus to “better cater to narrower clientele needs,” according to the company. The brand however still processes deposits and has not gone defunct. 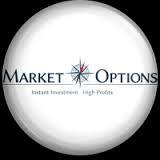 MarketOptions focuses exclusively on binary options and despite several claims on its website, is not a regulated entity in the UK, though it remains a trusted FairBinaryOptions partner. The burning out of MarketOptions’ candle represents a fairly routine finality that’s gripping the industry presently, namely as unregulated brokers have been shut down recently as a result of complaints and regulatory crackdowns. According to the company, and contrary to other publications, the binary options brand is not wholly shutting down but rather reducing its operation. Company representatives have told Forex Magnates that MarketOptions is a small broker striving to provide a VIP service to clients, and cited new deposits and leads, along with other fields of activity, as indicators of the brands functionality.